Candace and her husband, Barry, along with their son Maxwell, started volunteering with The Honeycomb Project over five years ago—when Maxwell was three. One of the family’s most memorable Honeycomb Project was years ago at the Lakeview Pantry, one of Chicago’s largest and longest-operating food pantries. Here, Maxwell grasped the concept of packing up food and started at an early age, to understand a sense of service. Now eight years old, Maxwell has included his friends to get involved and continues to volunteer every year with his parents at Honeycomb Projects. Maxwell even created his own pajama and book drive. In lieu of birthday presents one year, he asked his friends to donate to his drive and collected a huge box of pajamas and books to donate. Candace and Barry hope that their son will find his own voice as he gets older. That because of Honeycomb, Maxwell will value the meaning of empathy and become a leader with volunteerism. “It’s a lot of hard work…with rewarding results,” say Candace. But she and Barry hope to shape tomorrow’s leaders and instill value for the next generation to come. 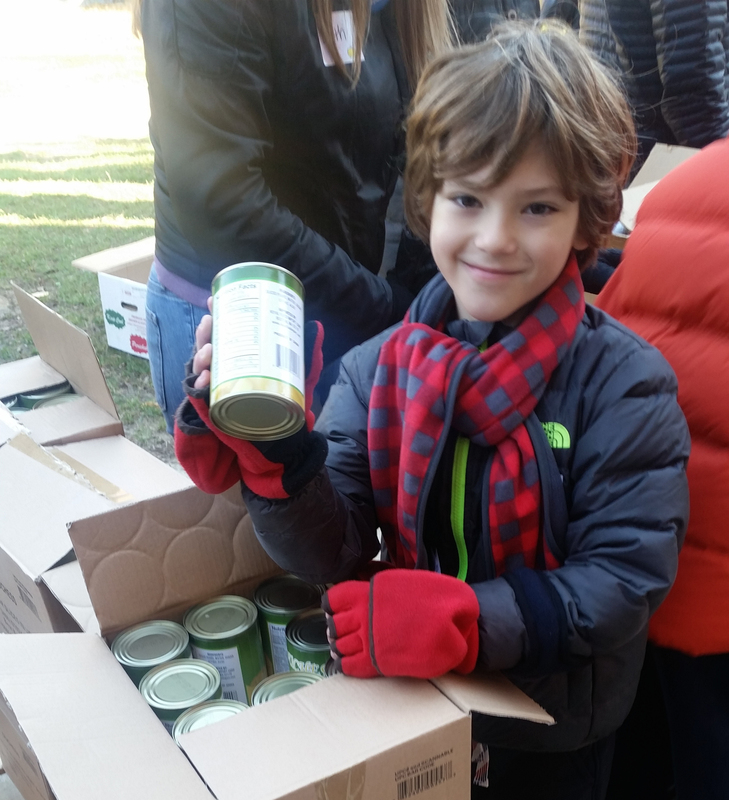 Outside of attending Honeycomb Projects, the Strauss/Glick Family keep busy and spend their time by volunteering with other Chicago organizations. Candace is a pediatric nurse practitioner at Lurie Children’s Hospital and Barry is a physician. Maxwell is an avid history buff and loves reading…especially about wars and presidents. The family loves to travel and explore museums and new parks in the Chicago.